Must have a fun/upbeat attitude, a great smile, and love to laugh! Must have a fun/upbeat attitude, a great smile, and love to laugh. Talent must be open-minded, get along with the other talent/crew, and have a natural, easy-going, fun allure. Please no tattoos, body piercings, or exotic hair color. Guys, please groom facial hair. Girls, come hair and make-up ready. Please do not go heavy on the make-up. A natural look is preferred. Special instructions: Casual Spring attire, no bright/loud colors, no logos or graphic T-shirts. Please bring other clothing options. Purpose: You will be a featured lifestyle extra in the new local Honda commercials. We will be doing some fun desert scenes. Hiking around the desert, maybe set up a campfire, and having a great time in the new Honda. Special instructions: Business casual Spring attire, no bright/loud colors, no logos or graphic T-shirts. Please bring options. Purpose: You will be a featured lifestyle extra in the new local Honda commercials. We will be traveling in and around town. Showing off the interior features of the vehicle, while capturing the local Coachella Valley landscape. 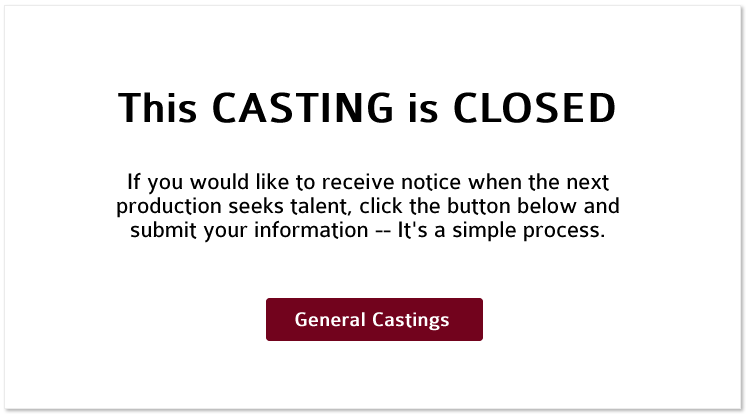 Join our new TALENT group on Facebook and be the first to receive casting notices! Join today! 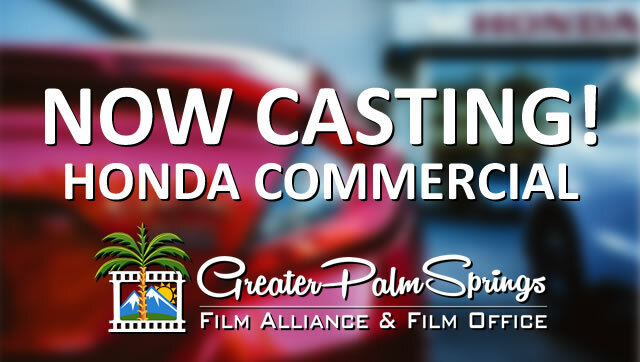 All casting submissions are first reviewed by the Greater Palm Springs Film Alliance & Film Office for completeness, followed by submission directly to the producers. The producers will contact you directly.